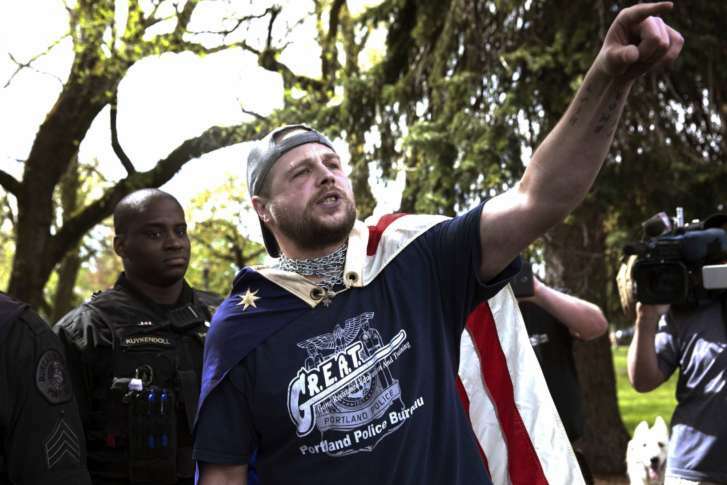 Jeremy Joseph Christian, right, talks during a Patriot Prayer organized by a pro-Trump group. PORTLAND, Ore. - The suspect charged with fatally stabbing two Portland men who tried to stop his anti-Muslim tirade against two teenage girls built a life around hate speech and his right to use it. Hillary Clinton and Donald Trump and ranted when Facebook deleted an anti-Semitic update. �There is no feeling like being muzzled. Cut out your tongue,� he wrote in one post. After years of spewing anger, prosecutors say, Christian acted on his fury last week aboard a light-rail train. He�s accused of screaming anti-Muslim insults at the girls, ages 16 and 17, and then slitting the throats of three men who came to their defense. Two of the men died, and a third was seriously wounded. The 35-year-old has not yet entered a plea, and neither his court-appointed defense attorney nor relatives or acquaintances returned messages from The Associated Press. In a statement, his family apologized and expressed horror at the May 26 killings. A review of court documents and social media postings paint a picture of a young man who hardened as he spent years in prison. The violence and anger he marshaled against prison guards morphed into a disciplined rage at the world upon his release as he struggled to find a job and a purpose. After years of disciplinary infractions and self-imposed hunger strikes, Christian suddenly found himself selling comic books on the street, where he was once mistaken for a homeless person. He grew increasingly angry that people he met didn�t want to talk about his views. His first encounter with the legal system came two years later when he was arrested on felony charges for robbing a corner market. At the time, he was confused and scared and seemed like a softer person, his former defense attorney, Matt Kaplan, said in a phone interview. He thought his client might be suicidal. Christian had ridden his bike to the convenience store near his parents� home, donned a black ski mask and pulled a handgun on the market�s owner. The owner recognized him as a neighborhood kid and at first thought it was a joke, according to an article in The Oregonian at the time. He took about $1,000 in cash and cigarettes, then handcuffed the owner�s wrists to a pole before taking off. A police officer spotted Christian on his bike, gave chase and shot at him three times, hitting him once just under the right eye. After getting out of the hospital, Christian eventually pleaded guilty to robbery and kidnapping and was sentenced to eight years in prison. During his incarceration, Christian spent time in five Oregon prisons and, according to his own Facebook posts, was frequently in trouble for disciplinary infractions. On one occasion, he lost 30 pounds in two weeks while on a hunger strike and refused to move to the medical ward. He talked back during roll call so he could get written up and insulted the staff during disciplinary hearings, he wrote. Just two months after his release in September 2010, Christian was in trouble again � this time with the federal government. He eventually pleaded guilty to being a felon in possession of a stolen revolver, was sentenced to time served and placed under supervision. While under supervision, and free for the first time in his adult life, Christian struggled to get his feet under him. In 2013, he messaged with a former prison friend and expressed despair that he couldn�t find a job. He was going to tattoo �unemployable sociopath� on his forehead, he said, or flee to Brazil. The friend encouraged him to get a job as a dishwasher instead and find a girlfriend who could help him stay straight. A few months later, he was arrested on a post-prison supervision violation and sentenced to federal prison, then released for good in May 2014. After spending so much time in prison defining himself through resistance and anger, Christian found himself with no one to fight. He did more fasting and, bizarrely, took up a crusade against circumcision. He joined a Facebook group for his middle school and reached out to old friends. Christian planned a barbecue with them at a local park but was rejected after he posted offensive comments on a group message board and insisted it was free speech. �Jeremy dude you are ruining this whole experience for everyone,� one childhood friend wrote. In April, he was videotaped at a pro-Trump rally with a baseball bat making the Nazi salute while wearing a metal chain and the American flag around his neck. Police confiscated the bat and hovered nearby as counter-protesters surrounded Christian and pushed him away. PORTLAND, Ore. – The suspect in last month’s triple-stabbing on a TriMet MAX train has been indicted by a Multnomah County grand jury and could face the death penalty. Jeremy Christian, 35, faces two counts of aggravated murder, one count of attempt to commit murder, one count of first-degree assault, two counts of second-degree intimidation, one count of menacing and four counts of unlawful use of a weapon in connection with the stabbings that killed two men and wounded a third on May 26. The aggravated murder charges carry a potential death penalty. The three men, Rick Best, Taliesin Namkai-Meche and Micah Fletcher, were defending two young girls who were the focus of Christian's yelling on the train before the stabbing. Both girls are black and one was wearing a hijab. Detectives said video on the train showed Christian yelling racial and religious epithets. Best and Namkai-Meche died after the stabbing. Fletcher survived. The indictment also included additional counts of intimidation, second-degree assault, unlawful use of a weapon and menacing, which were added after Christian’s first court appearance. The four new charges stem from an altercation on May 25, the day before the stabbings, authorities said. Christian reportedly threw a bottle of Gatorade at a black woman during a confrontation at the Interstate Rose Quarter Station. The woman sprayed Christian with a can of mace. Christian is scheduled to appear in court Wednesday morning. During his first court appearance, Christian entered the packed courtroom yelling about free speech. Fletcher was sitting in the court room during the hearing. “Death to the enemies of America. Leave this country if you hate our freedom. Death to Antifa! You call it terrorism, I call it patriotism! You hear me? Die,” Christian said. Court documents released the day of Christian's first hearing detailed his confession to the stabbings in the back of a Portland police car. Christian, who was being recorded while in the back of the car, said,"I'm happy now. I can rest easy," court documents said. PORTLAND, Ore. -- The man accused of killing two men and wounding a third who tried to stop his anti-Muslim tirade against two teenagers on a Portland, Oregon, light-rail train shouted he was "not guilty" Wednesday during a courtroom outburst directed at one of the victims. Jeremy Christian, 35, didn't enter a plea during his brief court appearance but said he was "not guilty of anything but defending myself against the violent aggression by Micah Fletcher!" Portland stabbing survivor says city has "white savior complex"
Christian asked Fletcher to "Hit me again!" as Fletcher kept telling him to get off the train. Christian then stabbed Fletcher, Namkai-Meche and a third man who intervened, Best. Christian was arraigned Wednesday in a 15-count indictment charging him with aggravated murder, attempted murder and other crimes. The hearing lasted about two minutes, and he's due in court again July 18. He is being held without bail at a jail in downtown Portland. Court officials made the hearing earlier and banned livestreaming in an effort to avoid the chaos that erupted at Christian's first court appearance. Last week, Christian shouted, "You call it terrorism; I call it patriotism!" and spectators watching a video feed in the hallway because they could not get a seat nearly brawled with one of the suspect's supporters before turning their anger against sheriff's deputies. Four charges in Christian's indictment stem from a confrontation Christian had with a black woman at a light-rail station a day before the killings. He hit her in the face with a bottle before she pepper-sprayed him, Portland police Sgt. Pete Simpson said. Meanwhile, those who know Fletcher have spoken out about his heroism. He is a 21-year-old student at Portland State University and a poet. Music students and staff at PSU told CBS affiliate KOIN they admired Micah Fletcher since he started taking classes there in the fall. One of Fletcher's professors, Joel Bluestone, told KOIN he is not surprised Fletcher stood up to help. "He did it because it's just the right thing to do and he's just that type of person. I mean, two teenage girls are getting harassed. You just step up. It's the right thing to do," he said. "He's that type of person, definitely, 120 percent that type of person." Fellow student Josh Gianola also said he wasn't surprised about what Fletcher did. "It's amazing and I think what everyone hopes that they would do in a situation like that, and he did it," Gianola told KOIN. "It's not surprising that he would stand up to hate in such a way. Of course, its devastating that that's how it turned out but it's not a surprise that he would stand up like that." Fletcher's wound was within millimeters of being fatal, court documents say. He has been released from the hospital and attended both of Christian's court hearings, where a scar on his neck was visible. A Portland man accused of killing two men and injuring a third on a TriMet MAX train this spring appeared in court Tuesday morning. Jeremy Christian has been charged with fatally stabbing two men on a MAX train on May 26, the eve of Ramadan. He’s pleaded not guilty to a 15-count indictment. “Remember, there are no heroes in this case,” Christian said while exiting the courtroom under heavy security. Multnomah County Circuit Court Judge Cheryl Albrecht set a bail hearing for Oct. 20. A trial date may also be set during that hearing. In court documents, prosecutors say Christian, who is white, shouted anti-Muslim slurs at two African-American women, one of whom was wearing a hijab. Christian faces two counts of aggravated murder, attempted murder, assault, intimidation and several counts of unlawful use of a weapon. During past court appearances, Christian made outbursts and defended his alleged actions. During an appearance June 7, Christian called out one of the victims who was in court. On Tuesday, he entered the courtroom in blue jail scrubs, his wrists bound by chains and briefly conferred with his attorney. The hearing lasted just minutes. During the hearing, Christian sat back in his chair. At least eight Multnomah County Sheriff’s Deputies surrounded Christian as he walked briskly out of the third-floor courtroom. The FBI and the U.S. Attorney’s Office are also investigating the case and could bring federal hate crimes charges. Christian also faces charges related to an incident on May 25 — the day before the alleged stabbings — involving Demetria Hester. Hester was in court Tuesday. She said she felt “angry” when she saw Christian. She said she sprayed mace at him during the May 25 incident, also on the MAX. E.D. Mondaine, vice president of the Portland NAACP, attended the hearing Tuesday. After court, he said that the alleged stabbings on May 26 could have been prevented had police arrested Christian the previous day. Mondaine owns PoShines, a restaurant in Portland’s Kenton neighborhood, where he said Hester works as a sous chef. He didn’t elaborate on the events of May 25, but said Hester had called the police. “If there had been arrests made, the real big chance of it not happening the next day is there,” Mondaine said. In the indictment, Christian is also charged with alleged May 25 crimes against Hester. Those charges include second-degree assault, second-degree intimidation, unlawful use of a weapon and menacing. Mondaine said he plans to follow the case closely, and hopes to see the community heal. “We have a unique opportunity in Oregon to show our support for racial equality because of the over-alarming number of Anglo Saxons and the underrepresented number, or the marginalized number of people of color,” he said. A homeless man accused of stealing the wallet and wedding ring off MAX stabbing victim Ricky Best apparently moments after Best died pleaded guilty Monday to four crimes and is expected to be sentenced to 13 months in prison next week. George Elwood Tschaggeny, 51, pleaded guilty to first-degree theft, tampering with physical evidence and two counts of identity theft for his crimes on May 26, as Best lay motionless at the Hollywood MAX station. His plea agreement calls for the prison time and then after his release, five years under the watch of a drug treatment court called START. The court requires participants to check-in regularly. The court typically orders counseling and substance abuse treatment. Tschaggeny had been scheduled to go to trial next week, before he entered his new pleas. Prosecutors allege Tschaggeny used Best’s credit cards five times on the day of the theft. Police say Tschaggeny was caught on TriMet surveillance video leaving the crime scene with two bags. Police say that was minutes after Jeremy Joseph Christian, 35, stabbed Best and two other men in the neck during a racist, Islamophobic rant as the MAX train pulled up to the Hollywood stop. Best, 53 and Taliesin Namkai-Meche, 23, died. 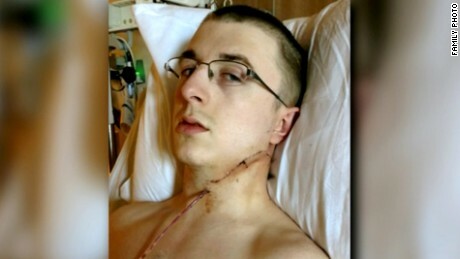 Another man, Micah Fletcher survived. Multnomah County Circuit Court Judge Cheryl Albrecht set jury selection to begin on June 24, 2019 and the trial should wrap up by July 26, 2019. 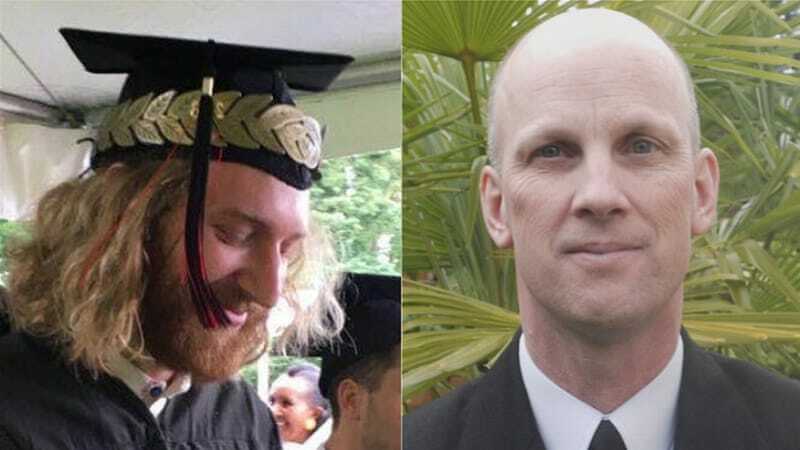 The trial for Jeremy Christian will start in late June 2019, more than two years after the attack on a MAX train that killed two men. Multnomah County Circuit Court Judge Cheryl Albrecht this week set jury selection to begin on June 24, 2019 and the trial should wrap up by July 26, 2019. Christian yelled a hate-filled rant at other passengers before stabbing three men on a MAX train in May. Documents filed by his attorneys suggest that Christian's mental health will be a key component of the defense strategy. OPB first reported that Christian's defense team asked for more time to put together their case, despite prosecutors saying they were ready to go to trial by October 2018. Albrecht agreed to set a later start date, but said she would need "very compelling reasons" to delay the case any further. What defenses could MAX stabbing suspect Jeremy Christian possibly mount? Many Oregonians might wonder how Jeremy Christian has any chance of mounting a serious legal defense in the criminal case against him. His attorneys haven�t revealed their strategy, but Christian is accused of fatally stabbing two men in the neck on a MAX train and seriously wounding a third passenger a year ago this week. Christian, 36, is charged with aggravated murder and attempted murder. A trial is scheduled to start in June 2019. Prosecutors declined an interview for this story. Christian�s defense attorneys offered a statement saying the case differs markedly from the public perception. �What happened on the train that day is quite different in many important respects from what has been portrayed and reported about the incident from the beginning. The established narrative is in many ways quite incorrect,� said Greg Scholl, who is representing Christian with attorney Dean Smith. Scholl declined to talk about possible defenses. But law professors and criminal defense attorneys not associated with the case said Christian has several options. He could claim mental illness made it impossible for him to form an intent to kill, they said. Witnesses said Christian was shouting racist and xenophobic comments at two black teenage girls, one who was wearing a hijab, on the train. He also ranted about his right to free speech and tried to discuss a book, �Sagas of the Icelanders,� but was frustrated that the strangers around him weren�t interested, witnesses said. Or Christian could claim he was acting in self-defense, legal observers said. In earlier hearings, Christian�s attorneys claimed other passengers were the aggressors. They haven�t denied that Christian stabbed the men. But whatever Christian and his attorneys decide, some outside experts say the odds are stacked against him and he probably will face a lifetime behind bars. At this point, the goal of his attorneys most likely won�t be to focus on an acquittal but to avoid a death sentence for their client. To prove aggravated murder, the prosecution�s case must convince jurors that Christian �intentionally� killed Ricky Best, 53, and Taliesin Namkai-Meche, 23. Even though Christian told police he wanted his victims to die, his lawyers could argue he was so consumed by mental illness that he didn�t truly understand what he was saying. Moments before Christian suddenly pulled out his knife, he shouted, �Go home, we need American here!� at the two teen girls, police said. The defense could claim �diminished capacity� -- that his mental illness made it impossible for him to form the intent to kill. A psychologist hired by Christian�s lawyers said he saw signs in Christian of post-traumatic stress disorder and a socialization disorder, which means trouble interacting with others. But he didn�t officially diagnose Christian with a mental illness. It�s possible that Christian�s �survival responses� took hold during the confrontation, developed over the 7 � years he spent in prison for robbing a convenience store, psychologist Mark Cunningham wrote in an 11-page report. Christian told the psychologist that he went into �auto pilot� when outnumbered on the MAX train. �Mr. Christian recalled that he was barely conscious of his actions until he heard people yelling: �He's stabbing them! He's killing them!� He recalled then realizing that there was no immediate threat -- snapping out of a fight or flight response," Cunningham wrote in the psychological profile of Christian. Under a diminished capacity argument, Christian could be convicted of a lesser crime, such as first-degree manslaughter, for recklessly causing the death of Best and Namkai-Meche. The defense also could argue that Christian was guilty except for insanity, which would require his attorneys to first file notice with the court. If convicted, Christian would go to the Oregon State Hospital for what could be the rest of his life. In his assessment, Cunningham described Christian as socially hobbled -- having dropped out of school when he was in ninth-grade but ultimately earning his GED. He has never been in a serious romantic relationship and spent most of his 20s in prison. Christian refused to hold down a steady job because he didn�t want to pay taxes to the government and instead earned his money mostly through selling his plasma or comics in front of Powell�s Books, Cunningham�s report said. He had hoarded about 15,000 comic books that filled his bedroom and the living room in his parents� home. Christian also had an unrealistic plan to move to South America, where he�d live with an aboriginal tribe along the Amazon River and be free from government interference, the psychologist�s report said. In a court memo last year, one of Christian�s attorneys wrote that Namkai-Meche and a third man, Micah Fletcher, may have provoked Christian. �The video (from other passengers) clearly shows from multiple angles that Mr. Christian was thrown into seats� before he started stabbing, Scholl said. Prosecutors have disputed Christian�s contention that the other passengers threatened him. Witnesses said Christian was the first one to get physical on May 26 by shoving Namkai-Meche, then shoving Fletcher. Police say Christian also plunged a knife into Fletcher�s neck, but he survived. Christian could argue self-defense on the grounds that he believed his life was in danger. But the question is whether he would succeed, given that other people under comparable circumstances might not have felt similarly threatened. Other people who have killed have walked free, sometimes based on controversial self-defense theories. The classic case is that of a police officer cleared of criminal wrongdoing for fatally shooting an unarmed suspect after fearing that person was reaching for a deadly weapon. Another case that stirred controversy was that of Trayvon Martin, the unarmed African American 17-year-old who was shot and killed by neighborhood watch captain George Zimmerman in Florida in 2012 during an altercation. Zimmerman argued self-defense, and a jury acquitted him of all charges. Prosecutors haven�t said yet whether they would seek the death penalty against Christian. They must announce a decision before the trial begins. No one has been executed in Oregon since 1997 and Gov. Kate Brown has placed a moratorium on state-sanctioned killings. But the future political climate could change, attorneys said. Christian also is charged with second-degree intimidation, a hate crime offense. It accuses Christian of frightening the girls by threatening to harm them based on his perception of their race, national origin or religion. Prosecutors added another charge after an African American woman reported that she encountered Christian on a different MAX train the night before and said he yelled that he wanted to kill all Muslims, blacks and Jews. If the case goes to trial and prosecutors convince jurors that bigotry is an intrinsic part of Christian�s actions, jurors could vote that he�s an ongoing threat to society and deserves the death penalty. Christian�s attorneys could counter that Christian has strong views, but they aren�t based on racial discrimination, legal experts said. No doubt, Christian will undergo more psychological evaluations in the next year leading up to trial. Prosecutors, for instance, will tap their own specialists. By then, more than two years will have passed since the killings. Russell Barnett, a Portland defense attorney, said that�s not unusual. He usually tells new aggravated murder clients that it could be more like 2 � to three years before they go to trial. That�s because more than any other type of case, the courts know �we have to make sure we get this right,� Barnett said. Defense attorneys, prosecutors and the judge want to avoid a long appeals process like the cases of teenage killer Randy Lee Guzek or prolific serial killer Dayton Leroy Rogers, Barnett said. Both Guzek and Rogers have been sentenced to death four times after winning repeated appeals before the Oregon Supreme Court. PORTLAND, Ore. (KGW) -- A pre-trial hearing for self-proclaimed white supremacist Jeremy Christian began Monday in which his attorney will argue against a potential death penalty. On Monday, the closest Christian's defense lawyers got to arguing against the death penalty was a motion to disallow victim impact evidence and aggravating evidence in the penalty phase of the trial, should it come to that. In the following days, the defense will argue that capital punishment is unconstitutional in Oregon, based on several principles, including that lethal injection can cause severe pain. The lawyer will also argue that Christian has mental health issues. The hearing is expected to last three days. There are 51 items on the pretrial agenda, a majority brought by Christian's defense attorneys. The murder trial for Christian is set for June 2019. Unlike past appearances, during Monday's hearing, Christian remained calm. On May 26, 2017, Christian spewed hate speech at two black teenage girls on a MAX train in Portland, and then allegedly stabbed three men who stepped in to intervene. Two of the victims, 53-year-old Ricky John Best and 23-year-old Taliesin Myrddin Namkai-Meche, were killed. The third victim, 21-year-old Micah Fletcher, was wounded but survived. Police say Christian confessed to the killings. Before the fatal attack, Christian was arrested multiple times over a decade and a half. The day before the stabbings he was accused of throwing a bottle of Gatorade at a black woman on a MAX train. Christian was also thrown out of an alt-right event in Portland in April 2017 for making racist comments. Defense attorneys for Jeremy Christian argued in court Wednesday that the death penalty shouldn�t be a sentencing option during a trial set for June 2019. Christian is charged with two counts of aggravated murder and one count of attempted murder in connection with stabbings aboard a Portland MAX train on May 26, 2017. Prosecutors say he stabbed three men, killing two. Christian has pleaded not guilty to a 15-count indictment. The defense spent the better part of two days of pre-trial hearings arguing the language in what they said is a key question jurors must weigh before handing down a death sentence. It�s one of four questions jurors would consider before handing down a death sentence. To make their argument, Christian�s defense team called a clinical psychologist who testified, in essence, that jurors get that question wrong, because defendants sentenced to death aren�t more violent on death row. �They get to then promote this depraved human mind. That it�s really all about not what will happen in some context, it�s all about what�s in their heart, what�s that person like, what�s the person�s disposition,� argued Dean Smith, one of Christian�s defense attorneys. Smith reminded Multnomah County Judge Cheryl Albrecht of what their expert testified to during the previous two days of hearings: that those are not things science can address. �It�s not something any of us can really address because it�s asking us to contemplate some fictional scenario where a person doesn�t even live in our real world, but just as a depraved heart and therefore we need to treat bad people in a certain way and the state�s solution would be to kill the person,� Smith argued. In Oregon, an aggravated murder conviction carries the death sentence. Defendants convicted of aggravated murder can also be sentenced to �true life� in prison meaning there�s no possibility of parole or a 30-year sentence before they�re eligible to apply for parole. Prosecutors argued the defense was making a scientific argument when jurors would, in their view, be facing a series of moral questions; ones supported by higher courts. �Let�s be clear on the issue of question two and what the defense is asking the court to do and that�s asking the court to overrule U.S. Supreme Court and Oregon Supreme Court precedent,� said Jeffrey Howes, first assistant to the district attorney. Christian, who attended three days of pre-trial hearings, sat quietly and stared at Howes as the prosecutor addressed the judge. He said the defense was creating a false construct for the judge. But he quickly pointed out that 25 percent of people on Oregon�s death row committed a homicide while in custody. Deputy District Attorney Ryan Lufkin added that what jurors were being asked wasn�t a scientific question. He said the Supreme Court � �both of them� � have ruled this is not scientific. Albrecht was faced with more than 50 motions during the three days of pre-trial hearings. Most she�ll issue written orders on in the coming weeks. Jury selection in Christian�s trial is expected to start in mid June. This guy should have been charged in federal court with a hate crime.